This is one of my favorite edible gingers. Why, you ask? Because of the awesome flavor of the cooked fresh younger rhizomes. This is the vital "Kha" of Tom Kha soups found at so many Thai restaurants. The amazing flavor is hot, spicy, peppery, with citrusy and floral hints. To keep plants happy, be sure to keep the soil somewhat moist. The spicy flowers are also edible, along with the edible inner stem, which looks like white spaghetti after having been removed by hand. Oh... and hummingbirds nectar at the pretty flowers. EDIBLE RHIZOMES: softschools [dot] com writes, “It is used for the preparation of broths, soups, [curries, fish and] seafood salads and dishes made of meat. 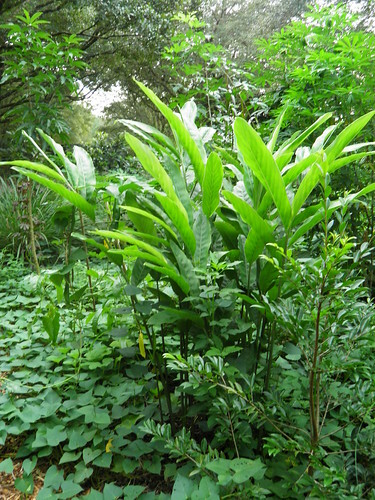 Rhizome can be used fresh (finely chopped) or dried (in the form of powder). Galangal is an integral part of Thai, Indonesian, Malaysian and Indian cuisine.” It is also a common ingredient in Vietnam. Younger rhizomes are a key ingredient in the famous Thai soup known as Thom Ka. 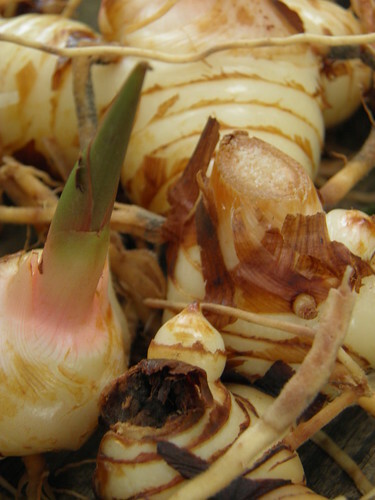 “Young galangal is preferred for most culinary preparations as the completely mature root is very tough.”  Plant geek writes, “The fleshy [thick, white-fleshed] rhizomes don’t need to be peeled, though you will need to cut off a few [of the] gnarled parts. 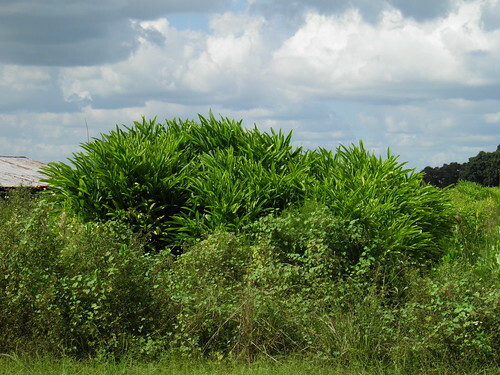 [It is] difficult to cut, use a serrated knife or grate.‘ It is often mixed with Lemongrass in recipes. - AROMA: softschools [dot] com writes, "Galangal has sweet, earthy, spicy, mustard-like aroma. It smells like a blend of pine needles and black pepper." - STORE-BOUGHT GALANGAL: When purchasing fresh rhizomes from a grocery store: 1, look for white color and squeeze for firmness. 2, Avoid any wrinkled or shriveled roots. Younger / pale pieces: May be eaten straight up. Older / red pieces: Best used in curry pastes. - STORAGE: FRESH: Refrigerate: Uncut / Unwrapped – up to 3 weeks. Peel & jar with sherry to store for several months. The rhizome paste may be frozen for later use, and rhizomes may be candied. - DRIED POWDER: Store dried & powdered: In a cool, dark place for up to 2 years. EDIBLE YOUNG SHOOTS: Young shoots are steamed & eaten. EDIBLE FLOWERBUDS & FLOWERS: They are eaten raw, steamed, pickled, added to soups, or mixed with chili paste. EDIBLE RIPE FRUITS: The red fruits are edible. They look similar to the fruits of Alpiniacalcarata, RASNA. MEDICINAL RHIZOME: Aphrodisiac; mild hallucinations have been reported. Note: "Gai" means chicken in Thai. This recipes replaces it with tofu. - Add tofu and mushrooms and heat through. - Remove the pot from heat and add lime juice and cilantro. - Serve with steamed rice or coconut Jasmine rice. NATIVE TO: Tropical Asia – China, Melesia. DESCRIPTION: Clumps 6-7 feet high. Much branched, fleshy rhizome. 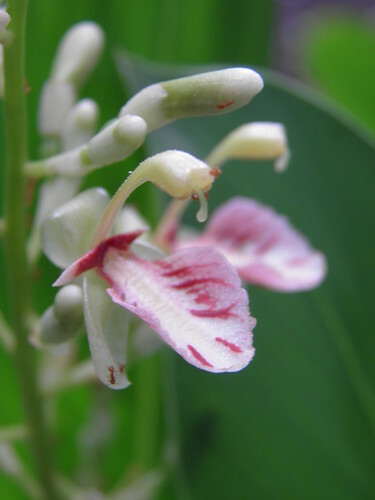 Flowers white, with pink markings. ANIMALS: This species is apparently not eaten by deer. 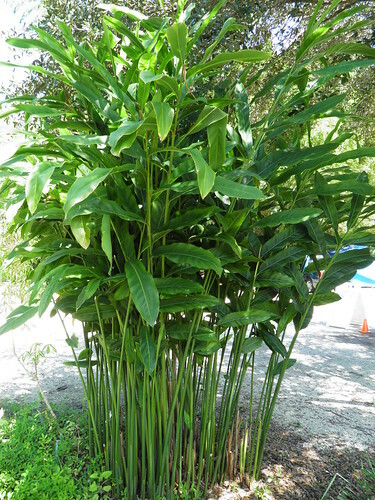 CULTURE: Florida ginger expert David Skinner, of Gingers R Us, tells us that this is the only Alpinia that will bloom reliably on the first year growth. 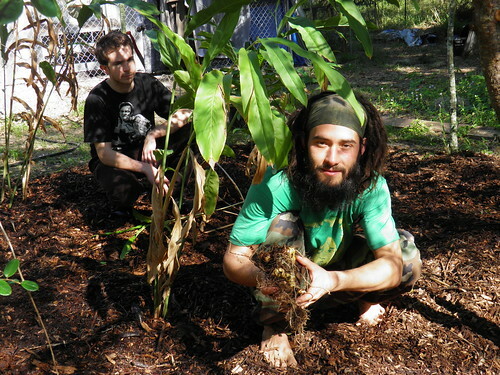 FERTILIZE: Galangal grower, Rob Bob, applies mulch on top of the surrounding soil, over worm casting. He also applies fish emulsion and sprinkles emulsified sea water (a sea slat) around the plants. Asian markets statewide, especially the Mustang Flea Market in Pinellas Park [they usually sell fresh rhizomes for two dollars a pound]. Also, many online plant nursery sources for fresh rhizomes, try a Google search.